Over the past year or so, every time I log onto Instagram it seems like yet another person I follow is traveling to Tulum, Mexico. Of course, I understand the occasional trendy travel destination, (i.e. Positano, Marrakech, and even New Orleans) but when I say I’ve never seen these many people flock to a single location, I mean it. This, of course, meant that I had to see what all the hype was about and subsequently booked my last ever spring break trip there. Let me tell you, I was not disappointed. Up until the past decade or so, Tulum could’ve been described as a sleepy town that only really saw tourists for their beautiful Mayan ruins or for a quick editorial photoshoot here and there. Now, Tulum is a booming town with upscale beach-front hotels, ever-growing condominium developments, and probably more vegan restaurants than any vegan would actually need for the week. Several different media outlets have actually called Tulum the next ‘Ibiza,’ meaning this beach town is bound to end up with even more tourists (and Starbucks) than ever before. With all this being said, Tulum is definitely worth the trip and the hype—just go sooner rather than later. 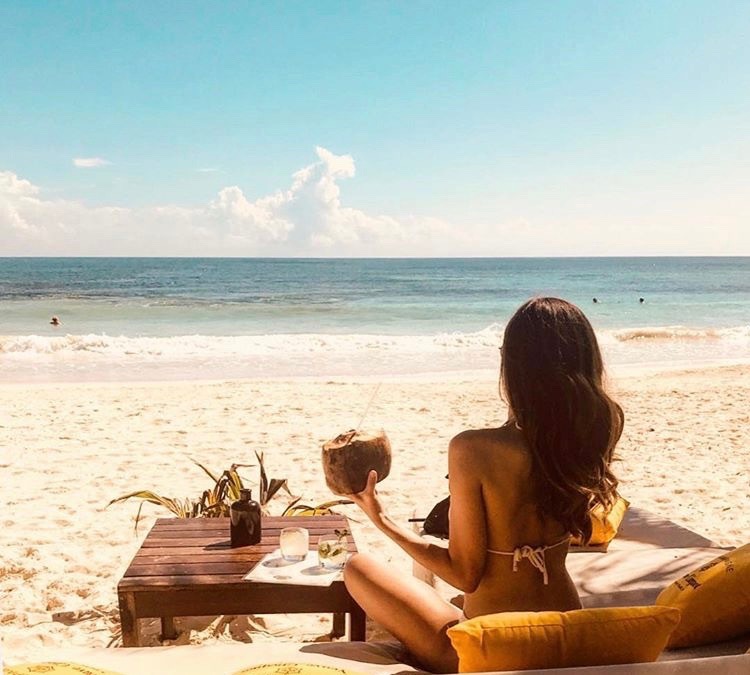 If you’re looking for a getaway that’s both relaxing and explorative, look no further than good ol’ Tulum — and check out my recommendations below! Where you choose to stay is really a matter of opinion and budget, but personally, I stayed in an amazing Airbnb within Aldea Zama. Aldea Zama is a growing development that houses multiple different condo complexes and is just a 5-minute drive or 10-minute bike ride to the beach, town, cenotes, and ruins! I found it to be the perfect spot, not only because we saved money on a pricey beach-front hotel, but we also had our own private rooftop with a hot tub and were far away from the hustle and bustle of downtown Tulum. If you are looking to stay in a nicer hotel, some Tulum favorites are La Zebra, Papaya Playa Project, Azulik, and La Valise. 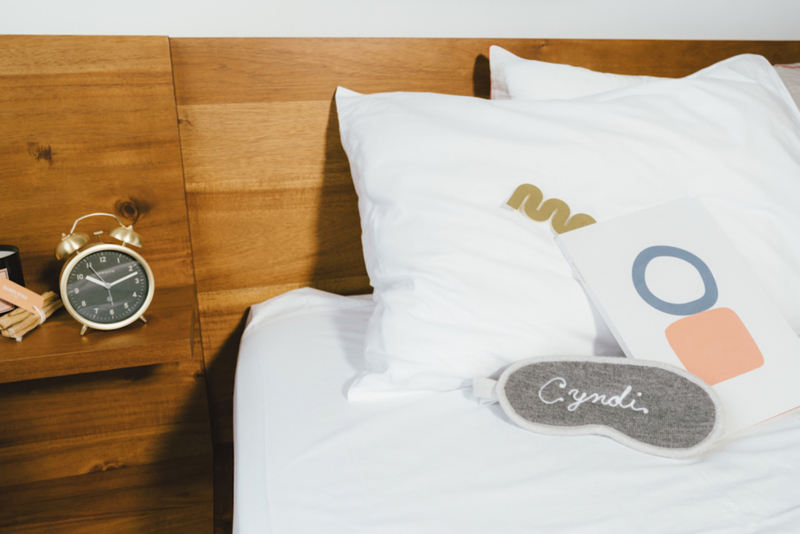 Most hotels located right on the beach can be expensive, but if you’re looking for the most relaxing getaway possible, this might be your best bet. The possibilities are truly endless when dining in Tulum. From hole in the wall local favorites to upscale joints, you can almost never go wrong. We only really had one disappointing dining experience in Tulum, but the rest were phenomenal! My only advice is; don’t be afraid to try out spots that you haven’t seen on your Instagram feed. While most of the trendy places are still great (AKA Gitano), we found some of our best meals just by walking past the restaurants or digging through Yelp! Here are some of my favorites that we tried: Burrito Amor (great for super yummy cheap eats), Gitano (amazing meal paired with equally amazing drinks, service, and décor), Posada Margherita (if you’re trying to take a break from Mexican food, the handmade pasta here is to die for), Cerveceria Encanto (a beer lover’s heaven), Safari (more cheap eats with amazing tacos), and Matcha Mama (an Instagram classic, but actually worth it). Like I said before, there is seriously so much to do and explore in Tulum. My trip was the perfect balance of doing nothing and everything at the same time. First and foremost, going to the beautiful white sand beaches are a must. If you’re staying at a hotel, you’ll most likely have beach access but if you opt for an AirBnB, you probably won’t have the same luxury. While there are plenty of free, public beaches in Tulum, we actually went to Ziggy’s instead just to avoid the public beaches overruan by seaweed. Ziggy’s, like a lot of other beach bars, requires you spend $50 per person on food and drink, but you get to stay on a beautiful beach all day in beach beds or lounge chairs. Plus, the food and beverages were amazing so definitely worth it in my book. Going to the different cenotes in Tulum are also a must-see and my favorite thing we did the whole time. Cenotes are basically underground caves with a pool of water that houses fish and bats alike. We actually biked to two different cenotes (which was a hike, let me tell you) but it ended up being totally worth it! We went to Cenote Calavera, which is small but super cool and Gran Cenote, which is the most popular cenote in Tulum. Make sure to bring a snorkel and goggles (or you can rent them but, ew) and always, always, always wear coral/reef safe sunscreen. Protect the ocean, kids! Last but certainly not least, definitely hit up the ancient Mayan ruins. It was only a 15-minute bike ride from Aldea Zama and only cost about $75 pesos to get in, which is less than $5 USD. It’s incredibly interesting and unlike anything I’ve ever seen before. Plus, you can access a free beach right next to them! Tulum is definitely not known for their party scene (most likely due to the fact that everyone is tired from being in the sun all day) but that doesn’t mean there aren’t some places to get your dance on! Almost everywhere has an amazing drink selection (especially if you’re a mezcal lover), but if you’re looking to party, hit up Gitano on Friday’s, Papaya Playa Project on Saturday’s, and La Zebra on Sunday’s. These places are known to get it poppin’ and most will even have live music to accompany all of that tequila!